This is our Happy Cats Guide eBook chapter 2 of 12. Click here to see all chapters. In order to create the ideal indoor space for your cat, you first need to familiarize yourself with basic Cat’s Needs. The behaviors of indoor cats are not all that different to those of outdoor cats, nor those of their larger, more wild relatives. Outdoor cats (small and big) commonly climb trees or fences to get a good vantage point (or to escape an ‘enemy’), or run in to bushes to get a low-lying, safe hiding place. We often see them drinking in many different locations, from a wide range of water sources. 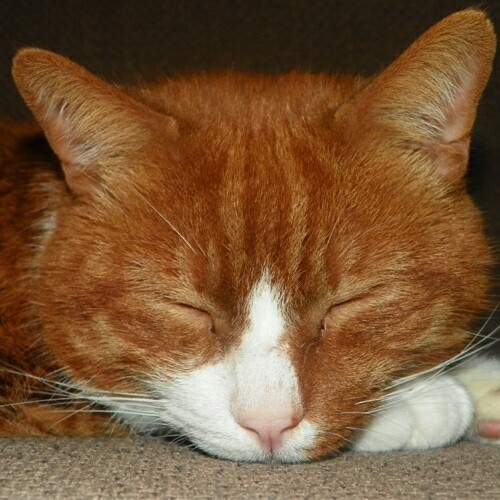 The sleeping behaviors of outdoor cats are very similar to indoor cats. That is, long periods of sleep broken up by periods of hunting and climbing. Cats — regardless of whether they are primarily indoors, or both indoors and outdoors — are crepuscular. 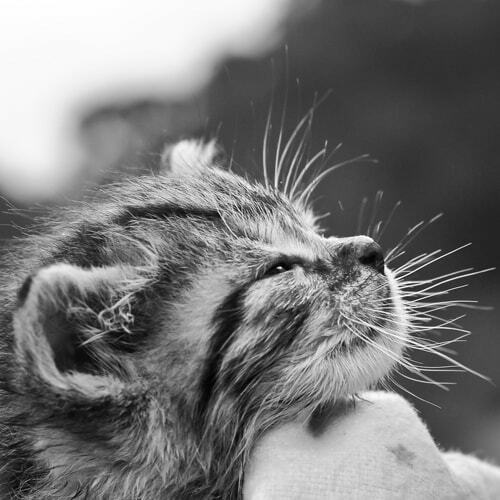 This means that cats are most active at dawn and dusk, a time that is ideal for hunting. 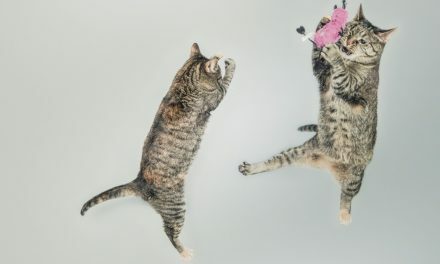 Despite these similarities, indoor cats without some additional enrichment become very prone to lying around the home rather than carrying out the natural chase and hunt behaviors often displayed by outdoor cats. For this reason, it is very important to remember to interact with your cat on a daily basis. Appropriate cat friendly furniture, vantage points, hiding spots, interactive toys, scratching pads and a safe sleeping spot are all very important for indoor cats. • Food: including an appropriate bowl in an appropriate area of your home. • Water: including several bowls around the home that suit your cat’s natural preferences. 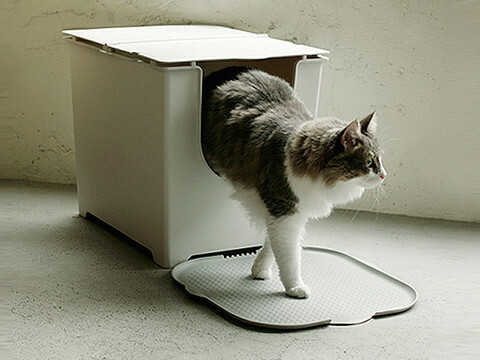 • Toileting: access to litter boxes in a couple of quiet locations of your home. • Safe space: an area that each cat in your home can ‘escape’ to when needed. • Enrichment: suitable toys, scratching mats, treats and hideaways to keep your cat busy. The ideal indoor space for your cat takes all of these basic needs into account. Thankfully, it doesn’t take much effort to go from these absolute basics to creating a fantastic indoor environment for the cat (or cats) in your home. The chapters in this book will cover each of these key basics individually, but it is important to get an overall idea of how your cat sees your home. In the next chapter we learn how to see each room in your house from your cat’s point of view. This will help you to make small but impactful changes to enrich their lives! Drawing out a plan of your home can help you reach a better understanding of how your cat views that space. All you need is a pen and paper to easily create a bird’s-eye view layout of your home. Include both windows and doors in your sketch. Also make marks to denote their food and water bowls, as well as their litter boxes. In this example we can see a typical single story, 3-bedroom home with 2 cats living along side 2 adults and 2 children. You can see where the litter boxes, food and water bowls are currently kept, where each cat’s ‘safe place’ seems to be, and the areas you may be able to enhance to make them even more cat friendly. If you have other indoor pets of any sort, then you also need to consider their sleeping, eating and toileting areas within this diagram. 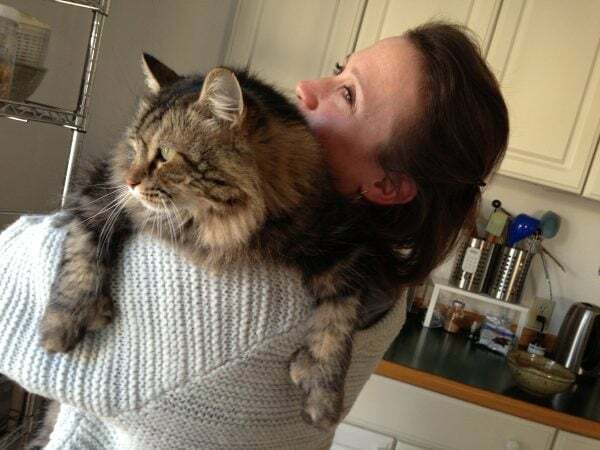 In these situations, the high vantage-point areas become more important for cats. Make sure you consider the windows around your home. 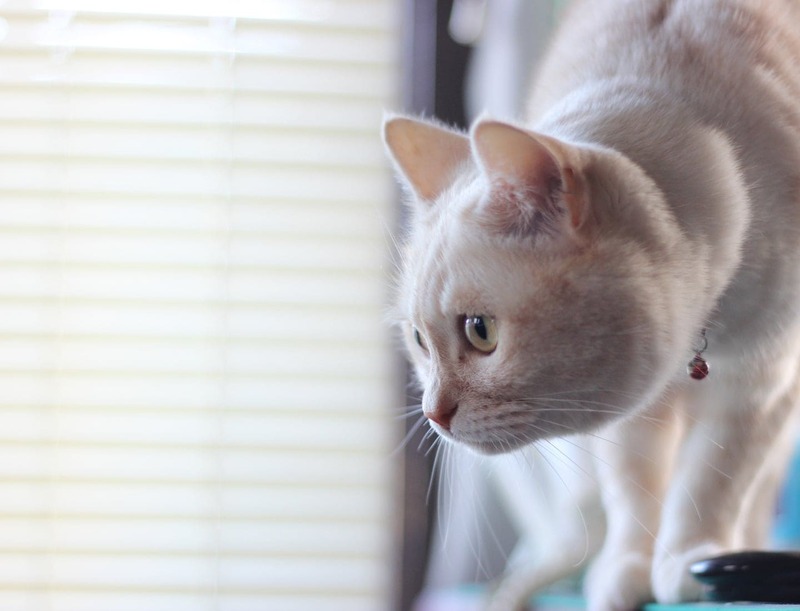 If you have a stressed cat that gets worked up by looking at other animals outside, then limiting their view or ability to get into certain rooms may help. For example, if your cat is scratching a specific piece of furniture, or toileting in an inappropriate area, mark this on your map as well. Often the cause will become obvious when you mark out all of these indicators, which will help you reach a solution for addressing this issue in a simple way. Conversely, for cats that aren’t stressed in their current environment, assisting them to have a view out a window can provide instant enrichment and entertainment! 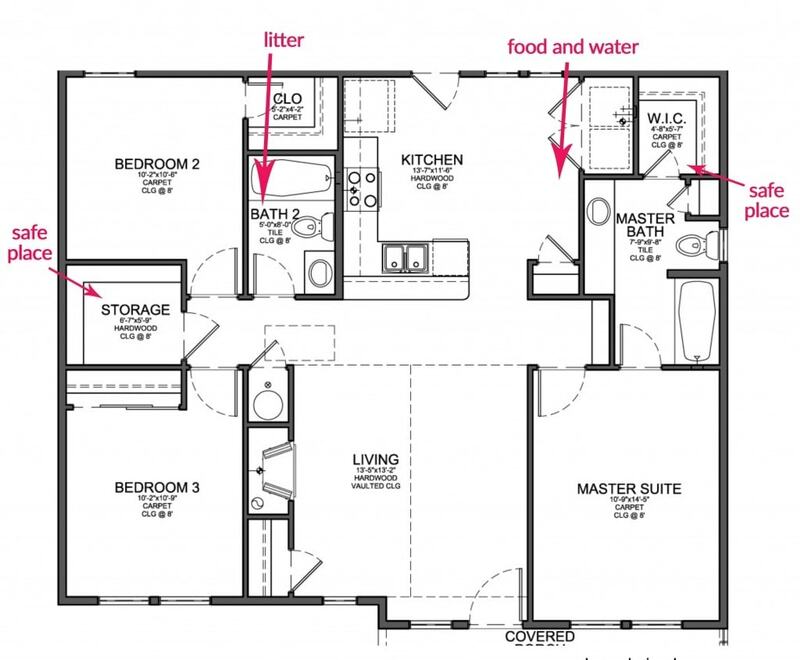 Mapping out your home in diagram form provides a deeper understanding of how your cat views your space, and can highlight issues with your current layout. Many pet behaviorists often start treatment with this method when looking at feline behavioral issues. When you draw your map, be sure to take into consideration the external environment and what your cat sees when observing it to ensure your cats are happy and stress free. Choosing the location of litter boxes, food and water bowls, as well as identifying your cat’s ‘safe place’ is fundamental to this layout. Each of these considerations will be discussed in the following chapters. This is chapter 2 of the 12 chapter series.